Want to develop a winning strategic plan? Please let us know if you have a question or want more information! Developing a winning strategic plan is incredibly important for every business. Without one, a business will be hard-pressed to achieve its goals. An effective strategic plan outlines a clear path for achieving a business’s goals and explicitly links those goals to the actions and resources required to achieve them. Every strategic plan should include a clearly articulated vision for the future of the business. The vision should be inherently linked to underlying goals that the business is working toward achieving within the next one to three years. When constructed correctly, the vision should provide a clear explanation of business’s goals, where it is heading going forward and define what success looks like in the future. In order to achieve the vision outlined in the strategic plan, a business must effectively analyze its current state capabilities and performance. Being able to identify the business’s current state strengths and weaknesses both internally and relative to key competitors is critical in order to effectively drive growth and win in the marketplace. Without having an understanding of where the business currently stands, it’s virtually impossible to drive improvements and achieve the vision. Clearly identifying and outlining opportunities is a key step in developing a winning strategic plan. Often, opportunities exist both internally, to drive improvements in areas of weakness, and externally, to expand into new markets, products, services and geographies. Both types of opportunities should be identified and outlined in the strategic plan. Once all potential opportunities have been identified and outlined, determining a subset to focus on is the next step. Executing on the selected priorities should enable the business to achieve both its goals and broader vision. If it doesn’t, then the opportunities that have been prioritized are not correct, and the business should reevaluate all identified opportunities and select new priorities that will lead to the business being able to achieve its goals and vision. The last step in developing a winning strategic plan is building a roadmap for execution. After priorities have been selected, the business should develop a roadmap that outlines how it plans to execute on the priorities over the next one to three years. Included in the roadmap should be a list of projects, key milestones for each project and required resources for each project. Once the aforementioned has been outlined, the business should also outline how it plans to monitor execution and performance across all of the projects listed over time. The monitoring mechanism should be linked to tracking how executing on each of the projects is helping the business achieve its goals and vision. 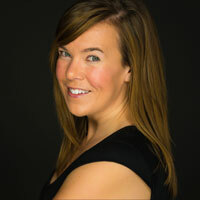 Katie Swartz is the Founder & CEO of Avant Strategy. She has nearly fifteen of experience working with senior and C-suite executives to drive change within their respective organizations. She's managed transformational projects across strategy, operations, finance and M&A in countries throughout North America, Europe & Asia. Is there alignment between your Marketing and Sales organizations? Want to successfully onboard a new customer? Here are three key factors to consider. Looking for ways to grow your business? Consider the benefits of a strategic partnership. Want to develop a strong marketing operations function? Here are three key considerations for success. Avant Strategy refers to Avant Strategy, LLC. The content provided on the Avant Strategy, LLC. website is strictly general information, and access to or use of such information does not establish a professional services-client relationship. Furthermore, the material found on the site is strictly for general use and does not constitute advice or the opinion of Avant Strategy, LLC. Before making any decision or taking any action that may affect your organization, you should consult a qualified professional advisor. Avant Strategy, LLC. shall not be responsible for any loss sustained by any person or organization that relies on this website to make decisions. Computer icon designed by Vectors Market; handshake icon designed by Gregor Cresnar; shopping bag icon designed by Becris; cereals icon designed by Nikita Golubev; suitcase icon designed by Linector; bulb and factory icons designed by Freepik; bank, flask, team, target, idea, email, settings, delivery truck, and clapperboard icons designed by Prosymbols for Flaticon.